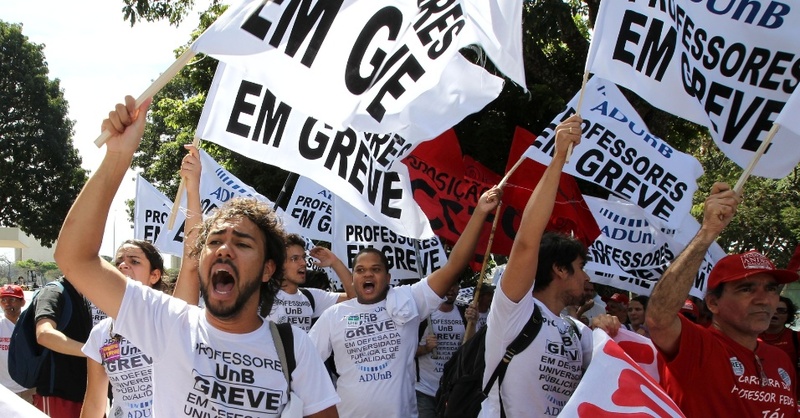 On May 17, Brazilian Federal University professors launched a nationwide strike in an attempt to coerce the government into enacting highly sought-after reforms. During the strike, professors will continue their research, but are holding no classes. The decision to initiate this movement was made by professors who are members of a labor federation within Brazilian federal universities. Formally known as Sindicato Nacional-Associação Nacional dos Docentes do Ensino Superior (ANDES-SN), the union has brought together 60 representatives from 43 universities, reaching a majority vote to initiate the strike. This decision can be credited to the failure of the government to implement promised reforms initially proposed by the union in 2011. The leaders of the academic movement lament that professors have long been taken for granted. Strikers are pleading for increases in salaries and an improvement in their working conditions so that educators are able to teach as their main profession without holding secondary jobs. To undertake these changes, demonstrators have issued three demands, including a 5 percent increase in salary based on a 20-hour workweek, a single-spine salary system based on roles and assumed responsibilities to raise professionals’ incentives to seek after promotions, and better working conditions in federal universities and institutes. Government officials have not discussed reforms addressing term of service and retention with union members since 2010, which has allowed them to revitalize this argument with the strike. To best understand the reasons for the strike and expose views on the subject, COHA’s research associates interviewed two Brazilian professors teaching at striking federal universities: Dr. Paulo Sergio da Costa Neves, professor of political science and sociology, and Dr. Israel Roberto Barnabe, professor of international relations at Universidade Federal de Sergipe (Federal University of Sergipe). Many federal universities are being affected by the current strike in Brazil. As a university professor in one of the striking universities, what is your opinion regarding current expectations of the movement? Do you believe that the federal government will fairly evaluate the syndicate’s propositions? Dr. Paulo Sergio da Costa Neves: In reality, the strike by university faculty members is not mainly about improvements in remuneration. The movement’s main purpose at the present time is to restore the image of the profession in Brazil, but it is difficult to do so without taking the hard fact concerning the salary of professors into consideration. Educators are seeking a stronger government commitment in the improvement of the educational profession. It may be elemental to conclude that in order to improve the profession, the salary must be raised. The impact this will have on the state’s payroll must be taken into consideration, but there is a clear perception amongst academics that there has been a substantial degradation of the profession in the last decade compared to the judicial and police fields that recently received larger salary adjustments. As to whether the government will be available to negotiate, this will depend on the amount of pressure put on the government by the teacher’s movement, which has gained much support from the public due to its relation to education. The government’s willingness to negotiate will also depend on the outcome of the current global economic crisis, which may force administrations to lower their spending level, thereby making negotiations more difficult. Dr. Israel Roberto Barnabe: I believe that the contractual ratifications proposed by the strikers are realistic and could reasonably be granted by the government. 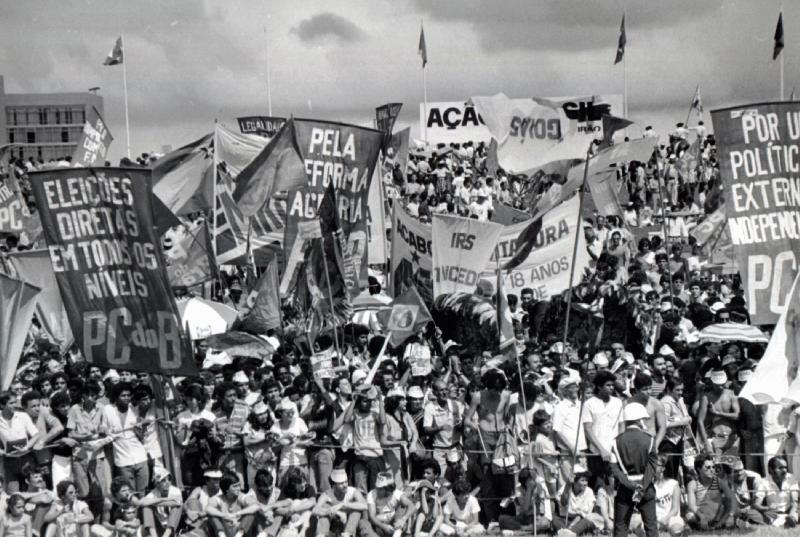 Historically, federal universities in Brazil have been continuously undermined and taken for granted. The problems in universities go beyond pay rates and should be taken into serious consideration by the government. Negotiations have been extremely difficult, but now we will hopefully move forward with agreements. What are your opinions regarding the agreements between the government and the union? What would be an ideal agreement? Costa Neves: My belief is that education should be a national priority for the federal government. This is why emphasis must be given to lecturers and their remuneration and working conditions. In my opinion, administrators need to negotiate a plan that improves both the salary and working conditions for teachers. In the past decade, steps have been taken to improve the profession that included diverse forms of compensation, such as temporary pay increases. But none of these reforms have been sufficient. They have simply been put into place to silence the protesting community. Barnabe: I believe that the proposal made by the union is very interesting because it goes beyond the question of salary and focuses on the overall transformation of popularizing a career in teaching in Brazil. In order to improve the university system in Brazil, the Ministry of Education has launched several federal programs (REUNI, PROUNI, FIES, etc.). What are your opinions on these programs? How do you think they could be improved? Costa Neves: The initiation of the teachers strike can be linked to these government programs. For example, the program REUNI increased the number of accepted students to universities, which is positive in principles, except the number of teachers did not increase proportionally, so this reform resulted in overcrowded classrooms and overwhelmed professors. The general consensus amongst students and faculty is that financial contributions by the government must increase to better assist with increases in the student population. This brings us to the question of the federal government’s role in higher education. Traditionally, public universities have been the best educational institutions in Brazil. With little private investment allocated towards research in these institutions, the federal government must fulfill both private and governmental investment duties to continue the research fueling technological advances. This is important because Brazilian public education is directly involved with the country’s development. Barnabe: I believe that these programs are important. They have, in fact, given students of lower income the opportunity to attend schools that they would otherwise not have. In my opinion, Brazil must rise to two challenges. It must a) restructure primary and secondary education to better prepare students for college and b) increase government investment in public universities so that schools may graduate citizens with better critical thinking skills needed to fulfill current social demands. What do you think about the quality of education students are receiving in Brazil? Will the current education system generate enough skilled labor to fill demands of Brazil’s growing economy? Costa Neves: Brazilian public universities bear the majority of scientific and technological production, but few Brazilian students are actually able to attend a public university with all costs covered by the government. … In other words, the majority of university students are receiving lower quality education through private universities, at least in terms of scientific production. At this moment, the lack of qualified professionals, such as in engineering, should be of great concern. The state faces a difficult task regarding economic expansion, and I can say that action-oriented policies would be welcomed. Barnabe: The large problem that I see is the commoditization of the education system, a system that almost exclusively works to fulfill market demands. I think universities must be more than just suppliers of skilled labor. Obviously, one role that institutions of higher education should fulfill is to graduate students with specific qualifications entering the workforce, but this must not be its only role.